On January 2, 1929, the United States and Canada agreed to combine efforts to divert the Niagara River. The two nations were hoping to protect Niagara Falls, a group of massive waterfalls that are one of the biggest tourist attractions in North America. It is actually three separate falls that make up what is known as Niagara Falls: the Horseshoe (Canadian) Falls, the American Falls, and the smaller, Bridal Veil Falls. The Falls were formed over 10,000 years ago during the Wisconsin Glaciation. This period occurred during the last ice age when water from the brand-spanking-new Great Lakes made its way through the Niagara Escarpment to the Atlantic Ocean. By the 19th century, industrialists were harnessing the power of the Falls for hydroelectric power. 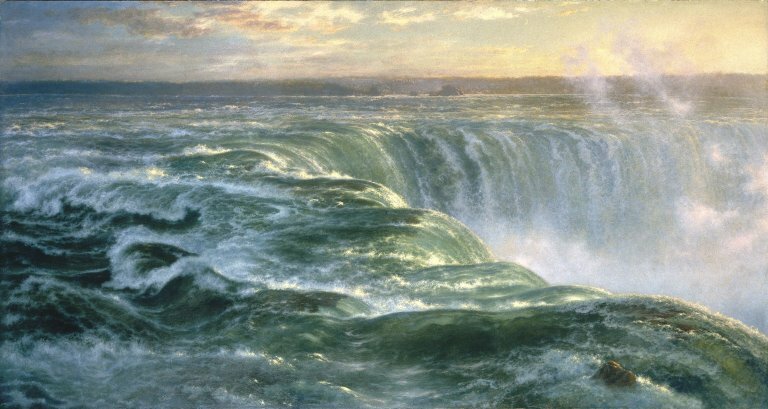 By 1885, there was enough concern on both sides of the Falls regarding corporate abuse that the Niagara Appropriations Bill was created to protect the area from private developers. This bill led to the creation of the Niagara Reservation State Park in New York (New York’s first State Park), and the Queen Victoria Niagara Falls Park in Ontario. The United States and Canada joined forces once again in 1929 to slow the process of erosion and produce more hydroelectric power. An agreement was signed on January 2, 1929 between the two countries authorizing a $2 million (about $27 million today) allotment for construction work on the Niagara River. The plan was to redirect strong currents and perform excavations in certain areas to make the Falls more attractive, while slowing the effects of erosion at the same time. The first man (second person overall after Annie Taylor) to ever go over Niagara Falls in a barrel and survive, Bobby Leach, 15 years later died as a result of slipping on either an orange peel or a banana peel (different news reports from the event are contradictory on which). After the slip and subsequent injury, his leg became infected and had to be amputated. He died two months later from complications from the infection and the surgery.